If you've ever tried to record audio or video you'll be familiar with problems like hiss, distortion and unwanted effects. You may have wondered: why does my recording sound so different from 'real life'? Now whether you're making a CD for your band, filming an interview, making a music video for Youtube or filming a live performance, you can have clear, pure, true sound with the Minisonic Mic Kit. The Minisonic Mic Kit brings together two high-quality miniature microphones and a pair of video mics with a matching stereo preamplifier and accessories. Compact and affordable, the Minisonic Mic Kit is perfect for musicians and videographers as well as professional studios and home movie makers looking to make professional audio recordings. 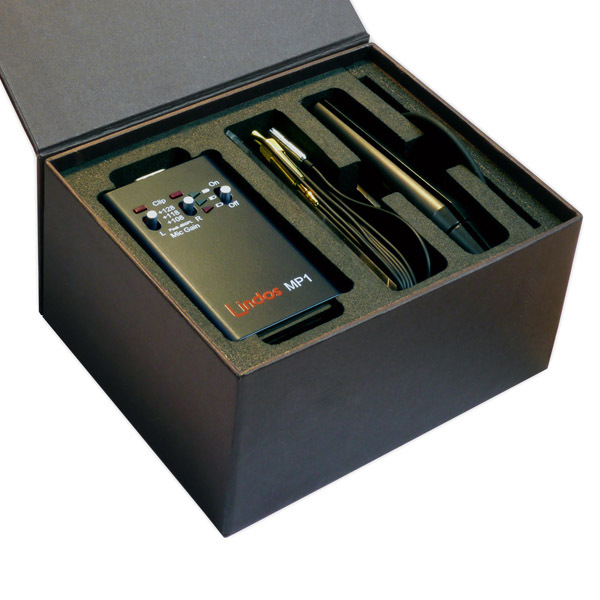 Lindos Electronics has made audio test sets for more than 30 years. A small British firm, we're trusted by big players like Sony and the BBC to test the performance of their audio equipment. Now we're entering the arena ourselves with the Minisonic Mic Kit. These miniature, low-noise, 1/4" electret microphones come with 3m of cable and they can be used as lapel mics for recording interviews, as a spaced-pair for recording classical music and choirs or for close miking of instruments and voice. 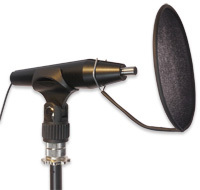 The MiniSonic Mic Kit comes with a range of accessories to facilitate this, including two unique lapel mic holders for attaching the mics to standard mic stands (see accessories below). The Lindos MP1 preamplifier has mounting points for attaching stand clips (for fixing the preamp to a mic stand or tripod), a belt clip (for attaching to an interviewee or a musician) or a hot shoe adapter for fixing the preamp on top of a DSLR camera or camcorder. The preamplifier powers the microphones, provides gain control and connects to your computer, mixing desk, iPad/iPhone or camcorder/DSLR. The VM1 video mic is a separate product that uses two of the same mic capsules as the 1/4" MM4 microphones, but on telescopic stalks out in front of the camera (which greatly reduce motor and focus noise). The collapsible design allows the microphones to fit neatly into a camera bag or the box that comes with the kit. The video mic also comes with a pair of very effective windshields (far better than low-pass filtering). 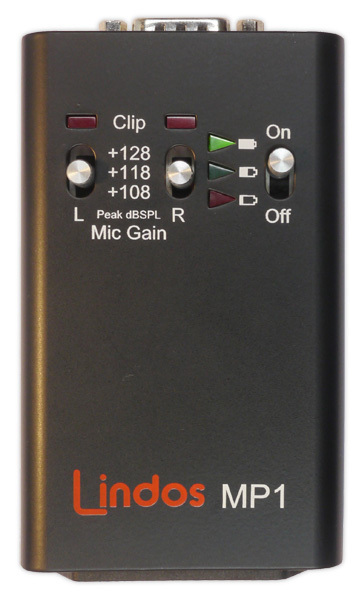 The VM1 video mic can be regarded as an optional addition to the MiniSonic Mic Kit or just purchased with a preamp and camera adapter. The Minisonic Mic Kit comes with a range of accessories, making it suitable for film-makers, singers and all musicians. 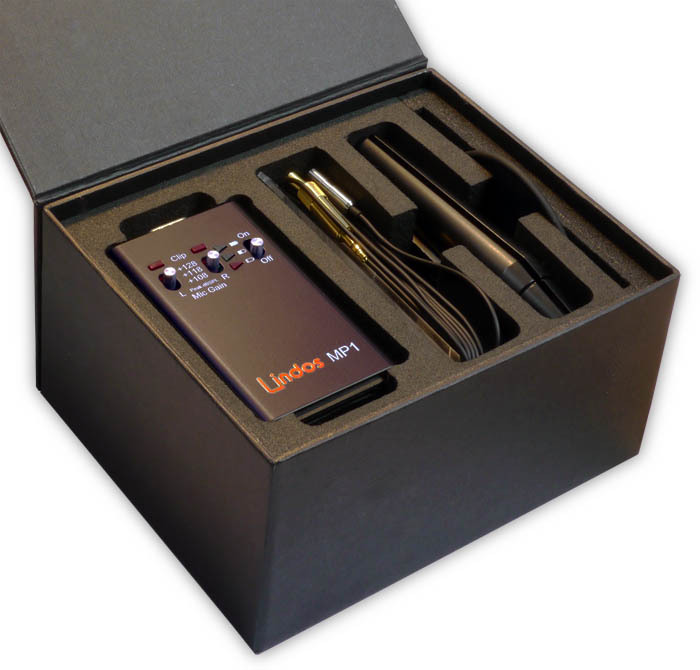 Who's Using the MiniSonic Mic Kit? 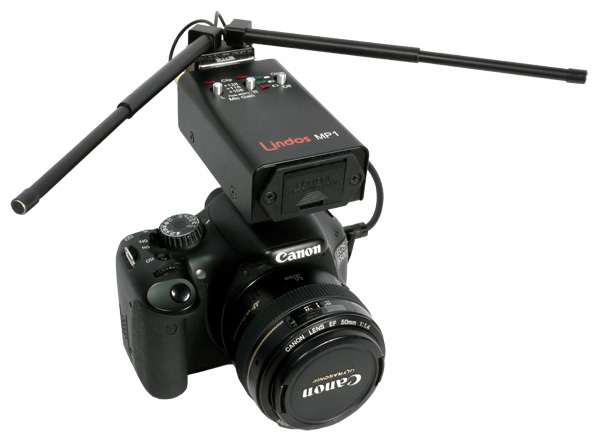 Adapters for connecting the MiniSonic Mic Kit to the Canon EOS 5D mkII are now available. Now your videos will sound better than ever. Now your audio and video recordings will sound clearer and more realistic than ever.